A Californian road trip with friends, family or just the two of you. It’s fun guaranteed! And the best part is that you don’t need to spend all your savings on a holiday in California. 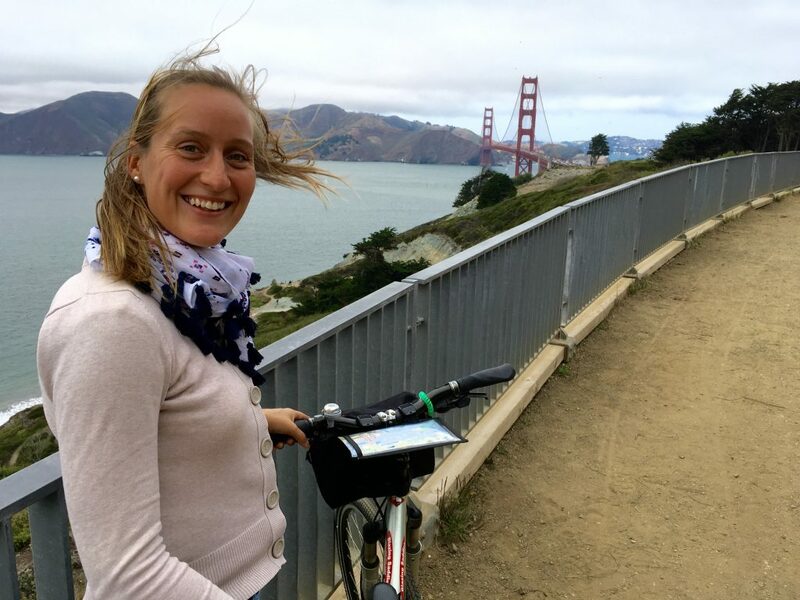 In this article you’ll find some tips on how to enjoy San Francisco and its surroundings based on our personal experience and we promise, you won’t end up broke! San Francisco is changing fast. Silicon Valley is the playground for many technology start-ups and the city is listed amongst the most expensive to visit. However, this shouldn’t prevent you from planning a vacation to this vibrant city in California! 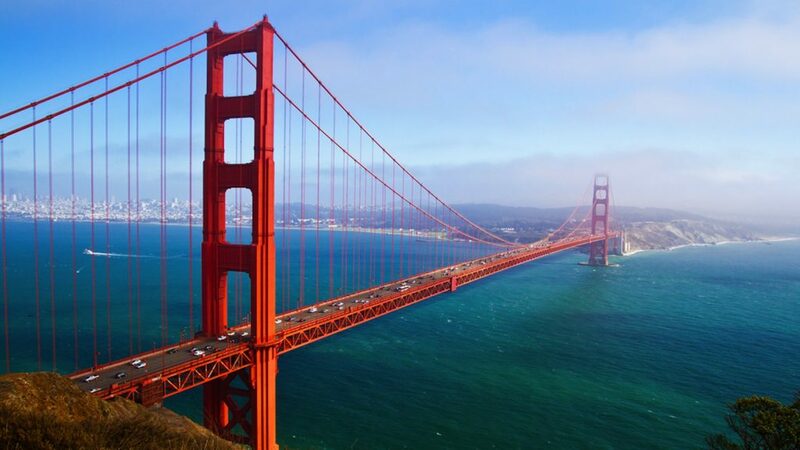 If you have a limited budget, you can easily visit the main touristic attractions in San Francisco in one day. The longer you stay, the more expensive your holidays will get. You can fly directly to SFO airport but, if you’re on a tight budget, check out flights to Oakland International Airport. Prices are considerably lower and Oakland’s airport is well connected to San Francisco by BART (train). Where to stay in San Francisco/Oakland? 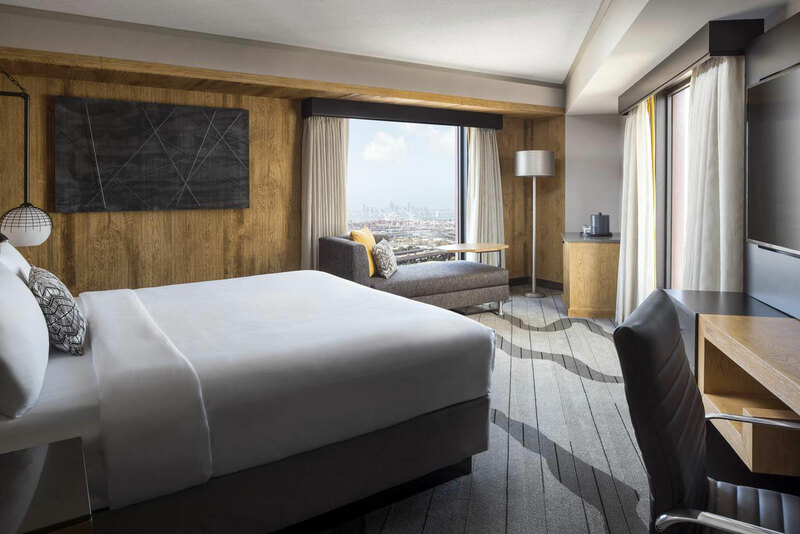 Consider staying at a hotel in Oakland, it will save you a lot of money. Again, you can take the BART to get to downtown San Francisco or even the ferry to get awesome views of the city. 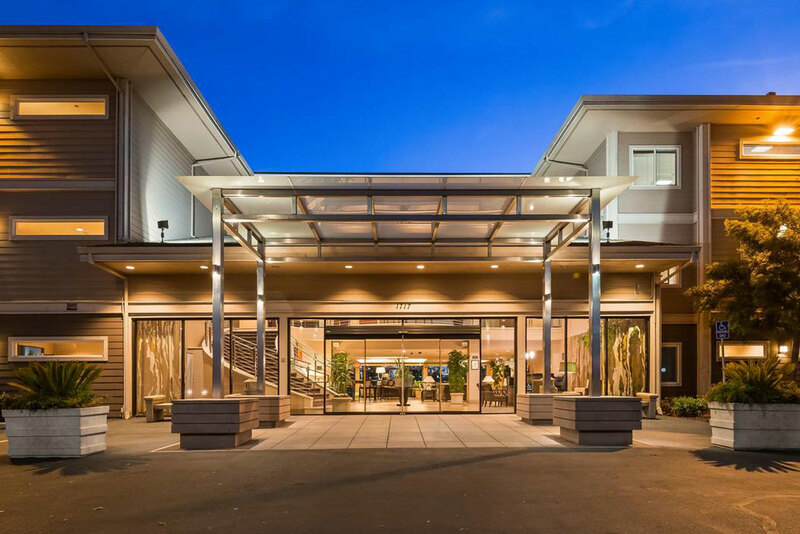 We stayed at the Oakland Marriott City Center Hotel which is conveniently located near a BART station and just a few minutes walking to local restaurants and stores. 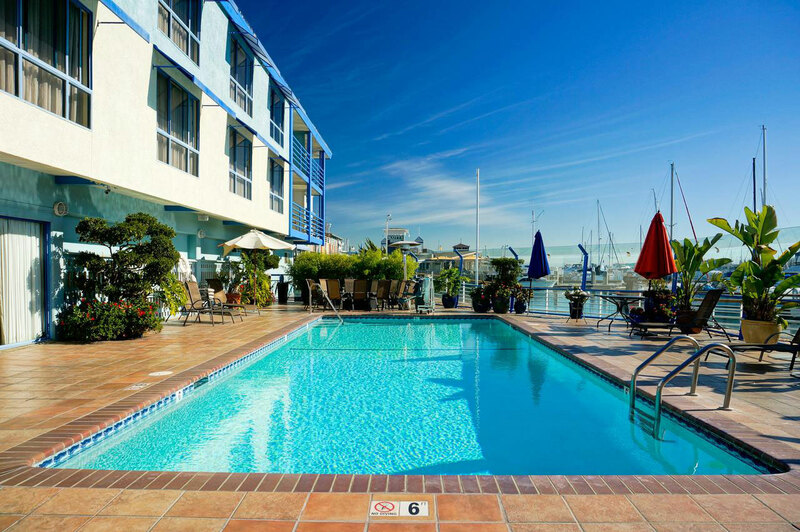 Some other options are Waterfront Hotel a Joie de Vivre Hotel, a retro nautical themed hotel which lies just a few steps from the ferry to San Francisco and Best Western Plus Bayside Hotel, with free shuttle to the BART station and Jack London Square. Oakland has long been overshadowed by its big sister across the Bay but it has so much to offer! Make sure to stop by and taste some fresh products at the Jack London Square Farmers Market before heading on the ferry. Oh, and the Authentic Bagel Company is another good reason to stay overnight in Oakland! Once you arrive to the city, stretch your legs out and get on a bike! It’s an eco-friendly and fast way to move through many neighbourhoods, Golden Gate Park and up to the Golden Gate Bridge. California is much more than San Francisco! It has amazing national parks and is perfect for a short road trip – even with kids. Rent a car and discover California’s breathtaking nature! Yosemite National Park is located at 3 hours by car from San Francisco and offers hikes for all fitness levels. Big Sur is a 2 hours and a half drive from the Bay Area and will blow you away with its seaside cliffs and views of the rocky coastline. Both Yosemite and Big Sur offer many luxury accommodation options but also lots of inexpensive campgrounds for backpackers. It’s a must for nature and sport lovers! A few days of camping in Yosemite? If you’re traveling by plane, it might be a bit more complicated to carry all necessary camping materials. No worries, LowerGear has everything you need and they can drop it off at any US postal office. If you’re looking to book a lodge or camping to stay inside Yosemite National Park, you’ll find out that many accommodation options are already fully booked months in advance, especially in peak months. But we have good news, you can still visit Yosemite without having a reservation! 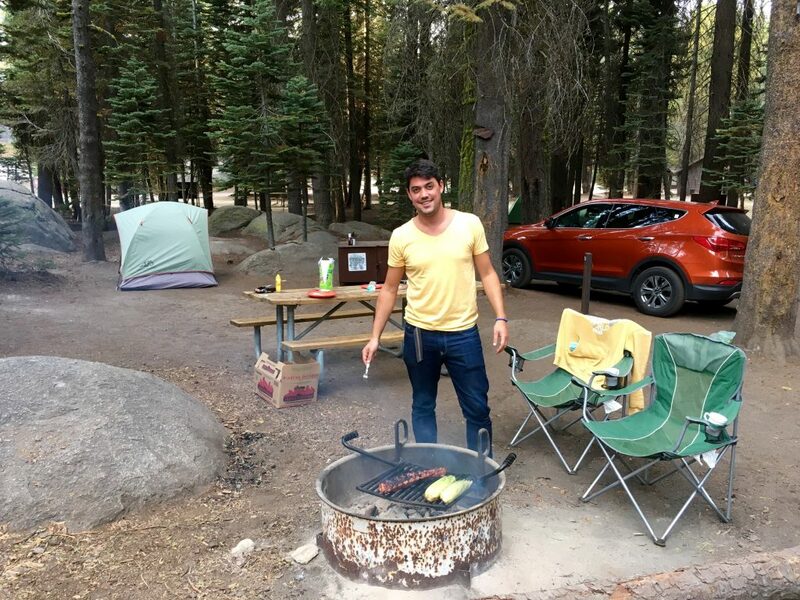 Arrive early at Tamarack Flat Campground and you will definitely find a lovely camping spot! No bookings needed, the campground operates on a first-come, first-served basis. You pay $12/night (no showers or water, only basic toilets). 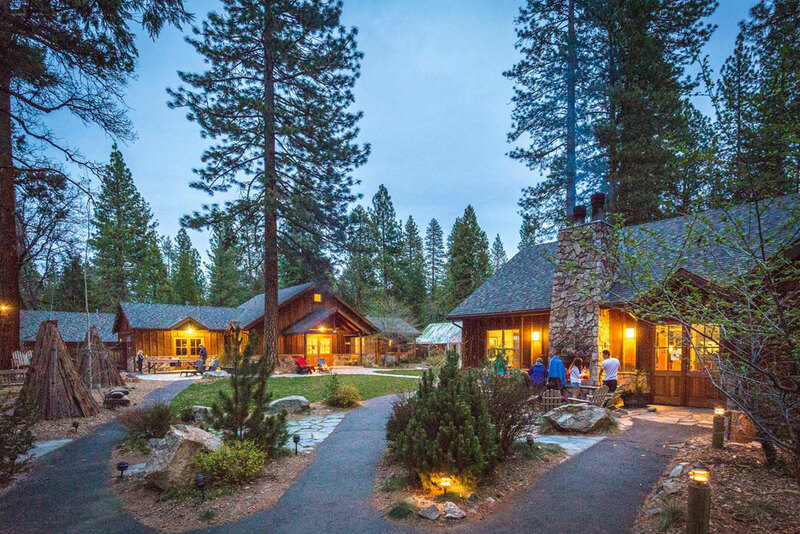 Near the Hetch Hetchy entrance, in the northwestern part of Yosemite National Park, you find Evergreen Lodge, a rustic mountain resort that welcomes families and couples in its charming cabins. Another great and comfortable accommodation option is Rusk Creek Lodge, very close to the west entrance. Families will love the resort facilities and tours. 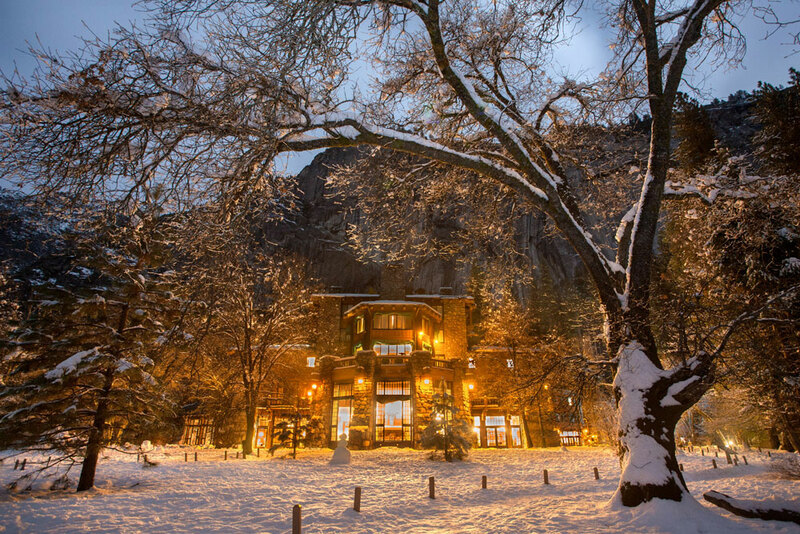 In the heart of the national park you can find The Majestic Yosemite Hotel, an architectural masterpiece with spectacular views of the Yosemite Valley and the Half Dome. Remember to contact us well in advance to book your accommodation for one of the above mentioned lodging options as rooms get sold out months before the start of the peak season! What are the best hikes? Mirror Lake, Lower Yosemite Fall, Bridalveil Fall and Cook’s Meadow are easy family hikes, even stroller friendly. Toulumne Grove Trail is a short and steadily downhill hike through thick woods all the way to the grove where you can discover the giant sequoias. 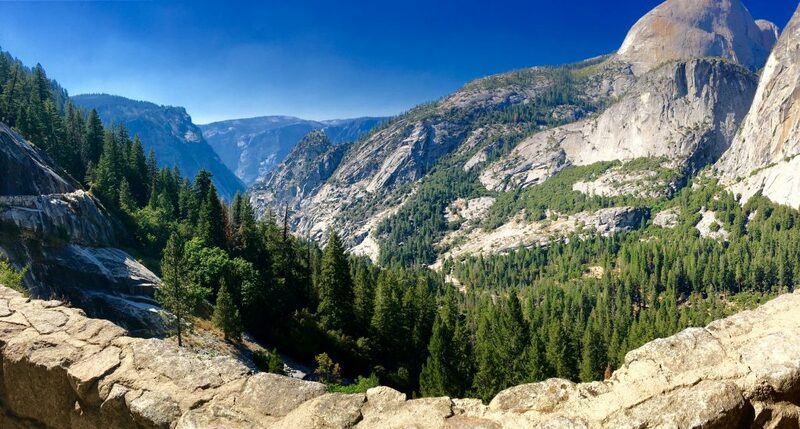 A challenging day hike is the Clouds Rest Trail, where you can take in one of Yosemite’s most stunning and wide-ranging 360-degree panoramic views. Another recommended day hike is the John Muir Trail to the top of the Vernal Fall and Nevada Fall. The most wanted hike is definitely the Half Dome. Make sure to get an advance permit for this one. Since we left San Francisco early we didn’t get to a supermarket to buy all food and drinks for our Yosemite stay. So we ended up visiting the supermarket located in Yosemite Village and as you can imagine, prices were twice as expensive (same for gasoline). So try to stop by a mall to make all necessary purchases before entering the park. Big Sur is certainly a national treasure and a must for a California vacation! Highway 1 offers stunning coastal views and is the perfect way to explore California’s coast from Carmel to San Simeon. A gentle uphill drive will take you to the first viewpoint of Big Sur – don’t forget to take a picture of the world famous Bixby Bridge. Same story as in Yosemite, you’ll find that many campgrounds are fully booked in advance. However, one of the best campgrounds in the area is on a first-come, first-served basis and has the best camp host ever! 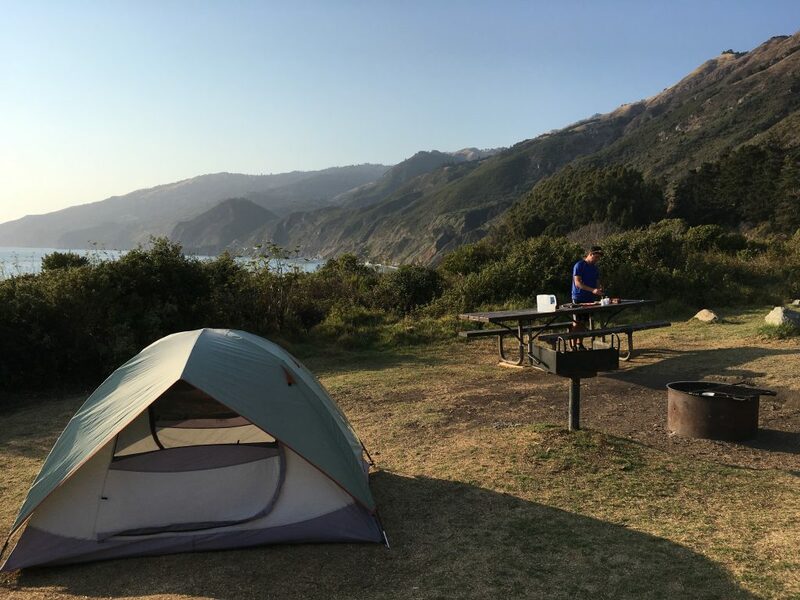 Kirk Creek Campground is conveniently located next to Highway 1 and offers amazing views. Its host, Daniel, will make sure you will find a spot to set up your tent, even if you arrive late and all spots seem to be taken. You pay $25/night (no showers or water, just a basic toilet). 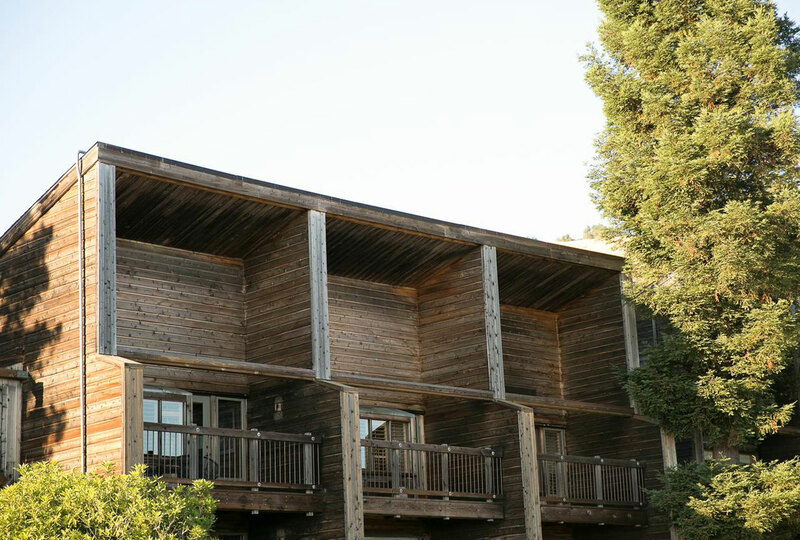 Along the coast you will also find many boutique lodges and luxury properties like Ventana Big Sur, an adult-only luxury resort situated on a hillside overlooking Big Sur’s beautiful Pacific coastline. A great couples getaway! 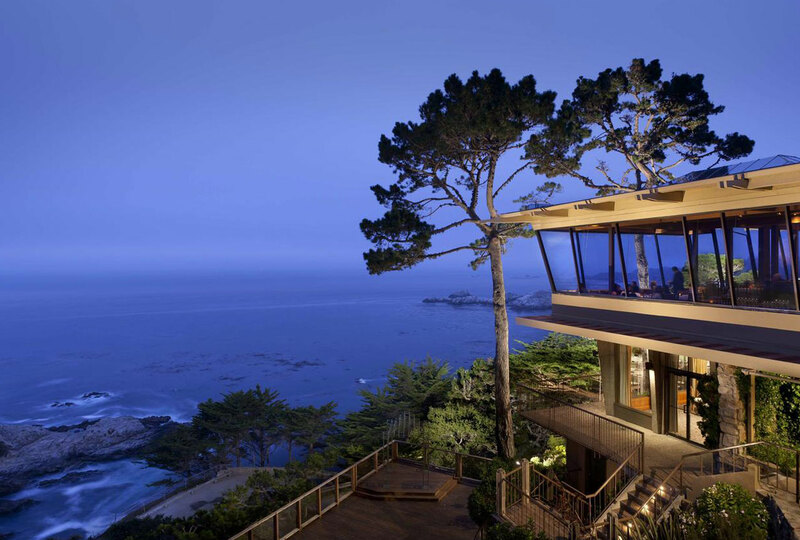 More up north, Hyatt Carmel Highlands Resort offers charming accommodation among pine groves on a cliff facing the ocean. 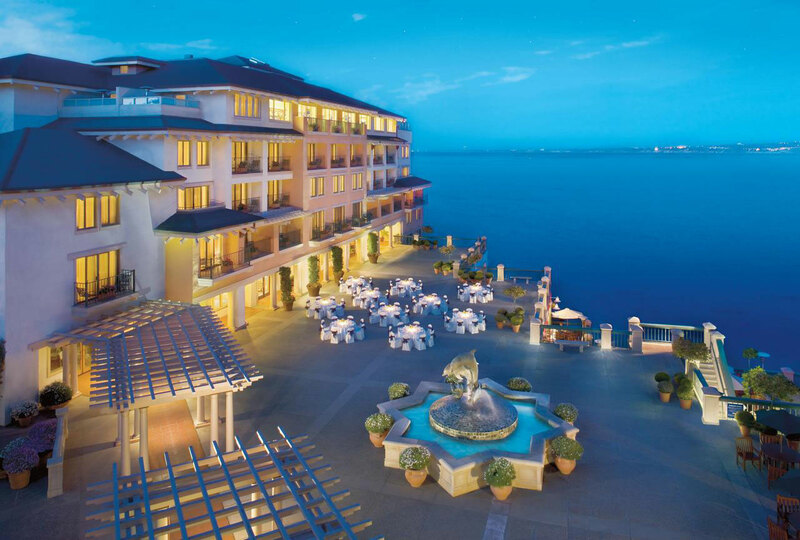 For excellent views of Monterey Bay you need to stay at the Monterey Plaza Hotel & Spa. First of all, at the end of the Kirk Creek Campground there’s a small downhill path that brings you to an exclusive breathtaking beach. Only the camping visitors have access to this beach! 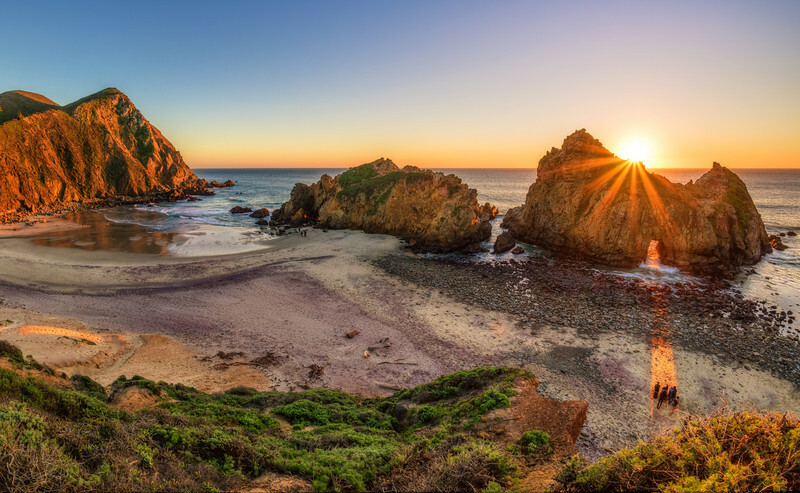 Pfeiffer Beach is a spectacular beach that stretches out far and is a great spot to watch sunset. Sand Dollar Beach is another relaxing beach and if you’re lucky, you might be the only one wandering around. Drive along Highway 1 and when you hit San Simeon, check out on the elephant seals. Especially if you’re traveling with kids, they will love it! Is California too expensive for a long holiday? No, but set priorities and discard any unnecessary expenses. San Francisco is a must see and will be your start or end point of the road trip but it’s a city where money easily rolls. 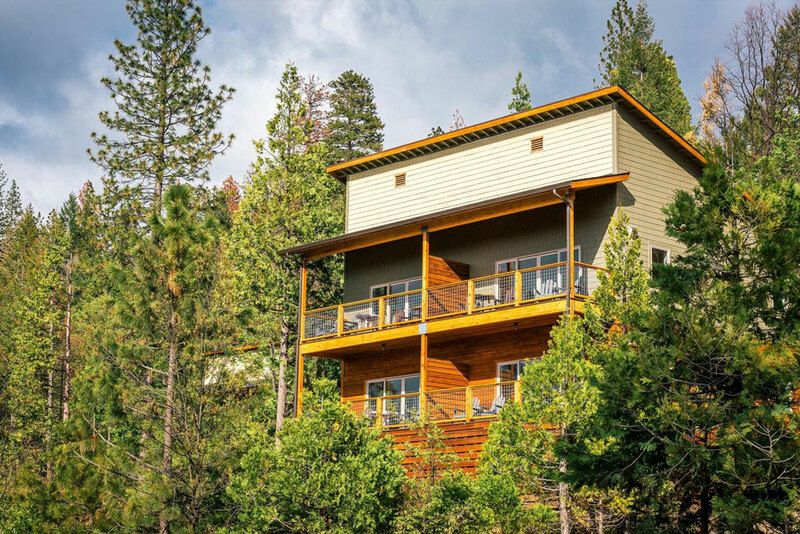 Stay 1 night (or a few) in the city and then head to Yosemite and Big Sur to enjoy the beauty of nature at no cost.